ELYRIA, OHIO – After scoring a hat trick in Midview’s 6-2 season opening victory over Strongsville last Sunday, Jake Behler leads his Middies against the Cleveland Heights Tigers (1-1-0) in a GCHSHL white division showdown. The first period was very physical on both sides; Midview committed three penalties and Cleveland Heights committed two penalties. Jimmy Hayden of Cleveland Heights scored the games first goal, assisted by Stephen Lang. Midview’s Jonathan Rodgers was able to score their only goal of the period on a power play; he was assisted by Jeffery Mullins and Heath Naso. Midview outshot Cleveland Heights 13-7 in the period. The score is tied 1-1 after the first period. The second period was just as physical as the first period. Cleveland Heights managed to score first thanks to a goal by Noah Webster, assisted by Kent Hadden and Stephen Lang, but Midview was able to tie the score at two because Jonathan Rodgers scored his second goal of the game, assisted by Bryan Weaver and Jacob Sheetz. Midview was awarded a penalty shot at the 8:57 mark of the second period, but was unable to capitalize on their attempt. Midview’s Bryan Weaver committed a 5-minute slashing penalty with 51.9 seconds left in the period. Cleveland Heights outshot Midview 19-11 in the second period, and at the end of the second period, the score is tied 2-2. 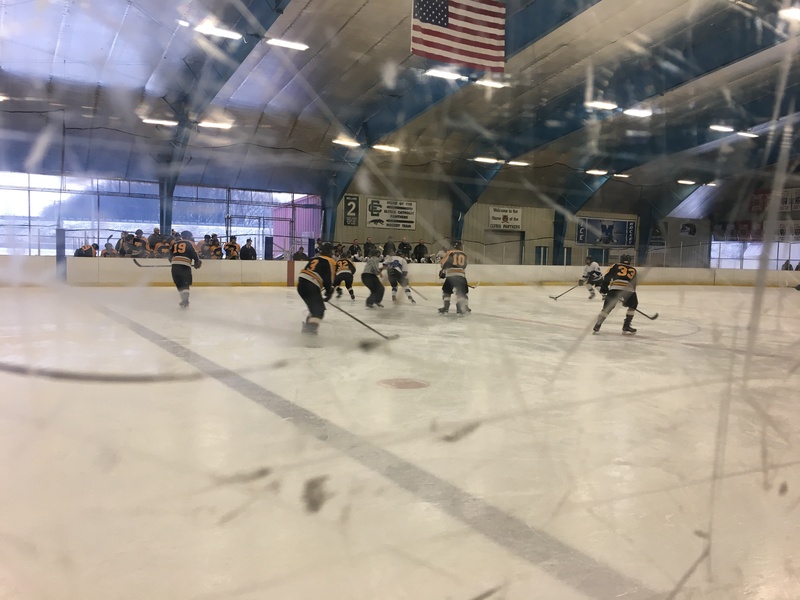 Cleveland Heights began the period with a man advantage over Midview, but at the 12:39 mark of the third period Cleveland Heights committed a tripping penalty. The Middies scored first in the period on a power play goal by Nick Verlotti, assisted by Heath Naso and Brody Rodgers at the 8:43 mark in the period to give Midview a 3-2 lead. Midview’s Brody Rodgers scored their second goal of the period to give the Middies a 4-2 lead. Cleveland Heights scored on a power play goal by Stephen Lang, assisted by Charlie Adams to cut Midview’s lead to 4-3. Cleveland Heights couldn’t get any closer and they fell to Midview 4-3. In the period Midview outshot Cleveland Heights 13-9. In a game that was physical from the opening face-off and saw a total of 27 penalties minutes given out, Midview was able to escape with the win and remain undefeated on the season. Midview’s goalie, Logan Perkins saved 32 shots, while Cleveland Heights goalie, Trent Swain saved 33 shots.